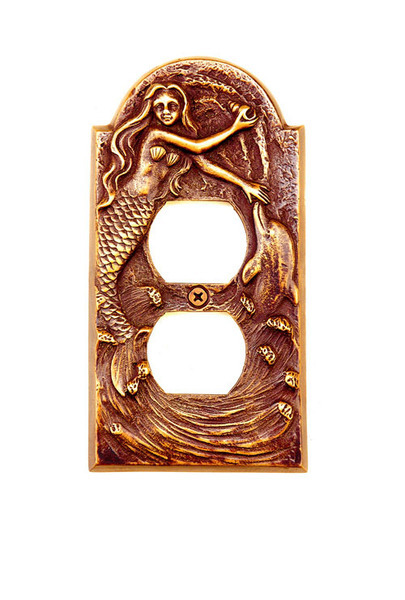 This beautiful Mermaid and Dolphin Outlet Cover is made of high quality brass with a clear coat that does not require polishing. It is a great accent to any room in your home or office. Makes a great gift item for your friends, family, loved ones, or even yourself.